They’re young, they’re athletic, and they play korfball, a Dutch game similar to basketball, now included in the World Games. They are also quite reflective, combining a love of sports with a serious interest in life, people and personal development. Four years ago, both of them started to practise Acem Meditation. Joep Bruin (28) is training to become a teacher after years of work in sales and recruitment, and when he is not with his girlfriend, he spends his free time coaching young korfball players. Jon-Tjitte te Biesebeek (31) is a physics and chemistry teacher at a high school for deaf children. 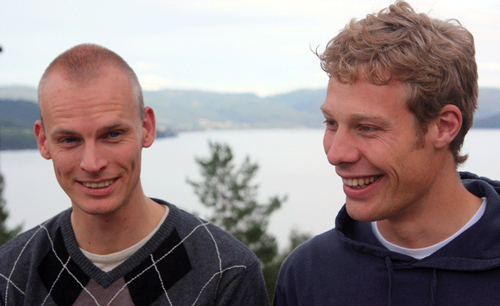 Long before they learnt to meditate, the two men got to know each other well through years of hard training in the same korfball team in Groningen, a university city in the northern Netherlands. Then Jon-Tjitte got a meditation course as a birthday present, and Joep decided to join him. These folks run one of the most inconsiderate businesses close to.